Anyone up for some ‘Texas Chicken’? Maybe not anymore as pilots request one-way traffic on busiest shipping hub in North America. Port Houston’s move to limit traffic for larger container ships to once a week may put a damper on growing volumes trade out of the Gulf Coast. The shipping restriction adds to another recent change in rail service that hit outbound logistics from the nation’s busiest port for foreign trade. 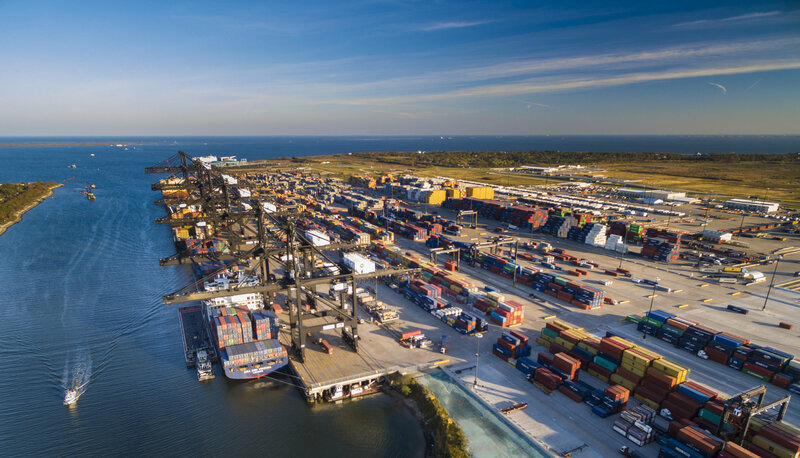 Last week, Port Houston’s commissioners approved a rule that vessels imposing “one-way traffic” restrictions when transiting the port will be limited to one terminal call per week. The Houston Pilots, which guide deep-water ships in and out of the Houston Ship Channel, had asked for the rule that all ship traffic go in only one direction when they are maneuvering ships of 1,100 feet. A spokesman for the Houston Pilots said the request was due to the depth and width restrictions on the winding, 52-mile long Channel. Two ships passing in opposite directions creates what pilots call the “Texas Chicken” where the wakes push the ships apart, then rapidly pushes them closer together again. But oil and gas companies also support the move since one-way traffic restrictions limited the number of vessel calls at the plants and terminals that line the Houston Ship Channel. In fact a group of oil and gas companies banded together as the Coalition for a Fair and Open Port to argue in favor of the one-way vessel restriction. The largest tanker that can call at a terminal at the Port Houston is typically 950-foot long. In contrast, the largest container ships that are now calling on Port Houston terminals are 1,100 feet or more in length. The Bayport Terminal said that four of the 11 container ships on the Indus Service run by Mediterranean Shipping Company (MSC) are subject to one-way traffic. MSC was unavailable to comment on the restriction. Todd Stewart, President of Houston-based third-party logistics firm Gulf Winds International, said the bulk of container ships coming into Houston are below that size, so he does not expect a major volume impact from the restriction. But the restriction does point out the need for a bigger channel to meet the needs of the energy industry and the growing container trade. Port Houston, which handled just over 1 million twenty-foot equivalent units (TEUs) last year, has capital spending projects to bring annual capacity up to 3 million TEUs.